Prisma is the easily the hottest app right now. Originally released on iOS, it recently got introduced to Android creatives. If you take a lot of images with your smartphone, then you should definitely add this app into your camera app. 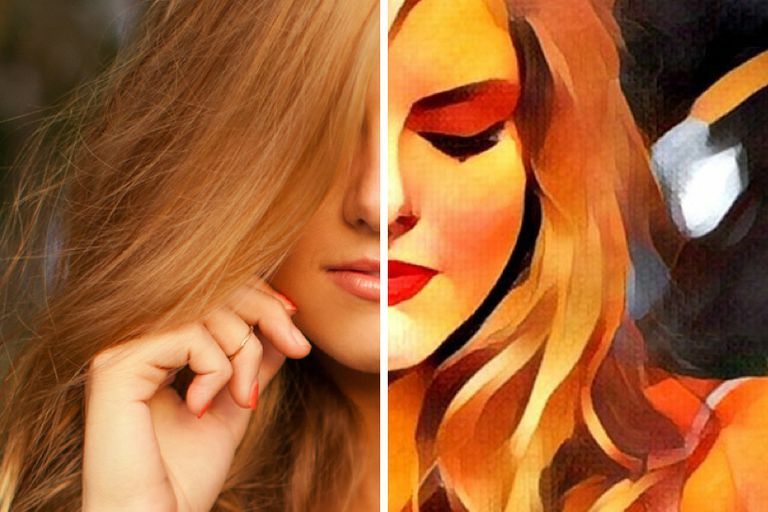 Prisma is an photo filter app that turns images from your camera roll or images that you take in real time into some truly artistic creations. These are not the filters you find on Instagram or in other photo filter apps, this app really focuses on - well artistic creation. This app does not help make your images pop. It does not help you lessen your double chin or lighten your skin tone. It does not bring out the details or help correct over or underexposed images. Prisma helps you create art in the likes of Pablo Picasso or Van Gogh. These filters are inspired by some of the world's most known artists. My favorite filter (also one of my favorite artists) comes from Katsushika Hokusai. The filter is inspired by Katsushika's The Great Wave. This is such an awesome idea. Prisma offers us the opportunity to have famous artists repaint our photos in their own style. That in itself is pretty amazing. So outside of the cool artsy filter (which do not get me wrong is a pretty awesome feature), why has Prisma taken the world by storm? In a nutshell, Prisma works like any other photo filter app as far as user experience and interface. Simply choose your photo to edit, choose from the plethora of artistic filters, and put that bad boy on. When it is completed, you can share directly to your social networks. One thing though, these filters are not your average filters. They do not work for instance like Instagram's filters. Instagram's filters take your photo and then lays over that image a filter of your choosing. Prisma uses artificial intelligence to create from scratch your image into the artist inspired rendering of your choosing. With all the above in mind, let us do a walkthrough on how to use Prisma as you follow along. The first step is to take or choose a photo from your camera roll. Once you have chosen or taken a photo, you will be brought to the screen where you crop your photo (or rotate it). Once completed hit next. In the next screen, you will find all the filter goodness. The screen will be split into two (top half showing your photo preview and the bottom showing the filters and share buttons. Like many photo social networks with filter features, you will find the carousel of filters in the bottom row. Swiping from left to right and back will let you browse. In order to use a filter, hit one of the thumbnails, slide the strength of the filter on your image, select when ready, and watch as your photo gets processed. This does take some time. Keep in mind that Prisma does not overlay a filter, again, it recreates your image from scratch. There is a lot of data crunching to turn your photo into the likes of Picasso, so the time it takes is well worth it. Also please note that you do not necessarily just have famous artists to be inspired by, there are renderings that you can use where you can put your own personal art stamp on. So now that you have created a Prismatic image, next step is to share with the world. Before you share out your images, Prisma by default has all the images watermarked in the corner. To get rid of those watermarks, go to the settings toggle and shut off "Enable Watermarks." Also in the settings menu, you can see other options like save original photos or save your artwork automatically. When you are ready to share to your audience, you just tap the buttons for Instagram or Facebook that appear above the filter row. There are other options and in the share menu, you can choose other ways to share. Prisma will always need to be connected to the cloud. Once you have tapped your image and chosen your filter, it will be sent to the cloud and then rendered. This is another reason why there is a lag in creation and the final outcome. This need to be always connected can be a hindrance because of data consumption but also sometimes, when you want to create and have a low connection, it is not super kosher to have to wait. Those creative juices come when we least expect it and if they come when you are in a low signal area - well that is not fun and can be really annoying. Plus you throw in the fact that it is a very popular app and many users are tapping into the same servers, means that lag time can increase or even crash those servers. i am pretty sure the developers are on top of that but it could be a small issue that may turn into a big deal. Is Prisma the Real Deal? Prisma is a great app. It's popularity jump right behind Pokemon Go and its ranking (outside of the US) being #1 in the App Store says it all. It is another way to create stunning images in a refreshing way and really that is the best part of mobile photography and its technology. Limitations of mobile photography are really only time-limited. Truly, the sky is the limit for creating art on our smartphones whether still images, video, or actual works of art like Prisma is very high. There may be some digital artists out there who may say that they can create or recreate these images in Adobe Photoshop. To be honest with you, this is true. I guarantee that the majority of people with their smartphones will not be heavy Adobe Photoshop users nor for the sake of mobile photography and mobile graphic arts, should they be heavy users. The ability to create on your smartphone what you can do in the most powerful digital design program on the planet, speaks to the ease and simplicity of mobile creativity. The ability to take your very own photo and create a piece of art (whether by your own design or as a famous artist rendition) in mere seconds is the point of Prisma. This is mobile photography. No limits, you can do it and on the go and guess what, you can share it the moment you have completed it. From Anime to Expressionism, you are the artist. Your paintbrush is your Apple iPhone or your HTC Android. That is the world we live now. This is the future we have all welcomed with open arms. I have heard that this diminishes the art done by actual real-life artists. As of now, I see it as a way for people who may not flex their creative muscles much the opportunity to do so. I do not think that Prisma is the way to become an artist, I think that it is a good way to just be creative. There is an older movie that pops into mind when I start to think of what I am going to do once the technology is available for video. In the 2001 Waking Life trailer, it reminds us that, "Your life is yours to create." The movie can easily translate to my experience with using this app for that quick second. I love the idea that Prisma is creating for us. I highly recommend Prisma. To the pocket-toting-food snap taker to the hang-from-the cliff adventure landscape photographer to the artsy-bohemian embracing digital technology shooter, Prisma is the app for you to create or escape. If you love art and love taking photos with your smartphone, this is the app for you.